We have negotiate special rates for all of the rental apartments and rooms listed below. 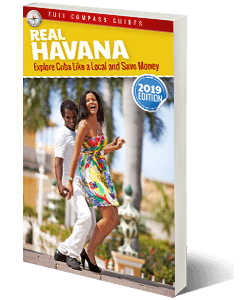 They are part of the Real Havana experience. They are affordable, clean, and the landlords are honest. You can expect a fantastic experience during your stay. There are no brokerage fees or middleman fees to pay, so you will save hundreds of dollars. From downtown Vedado, packed with restaurants, bars, stores, and nightclubs. To Central Havana, a densely populated neighborhood with tight streets, high foot traffic and rustic charm. To Old Havana, filled with boutiques, walking streets and tourists. 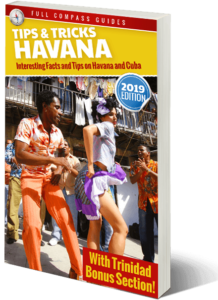 Havana is bordered by the Malecon (seawall) which is a fantastic night spot where locals and foreigners gather almost every night to party. Find a well maintained, colonial home or private apartment, where you can enjoy a relaxed and quiet rest at the end of the day. Click to view the Casas. A great selection of casas particulares for rent in the town of Trinidad. 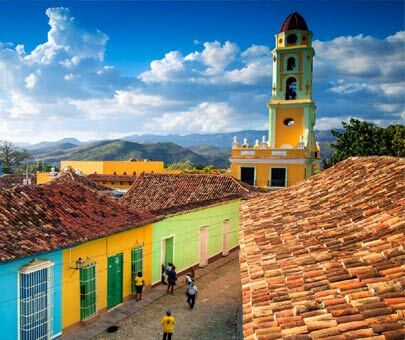 This is a wonderful historic village, located about 3.5 hours away from Havana. Trinidad is a world famous UNESCO Heritage site and most of the town is well preserved, in its original state, since its construction, hundreds of years ago. It is often referred to as “the museum city of Cuba.” It’s an amazing place to visit. 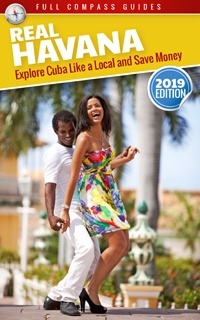 And one of the most popular excursion options for people coming to Cuba. Click to view the Casas. A great selection of casas particulares for rent in the town of Viñales. This is a wonderful town, located about 2.5 hours from Havana. 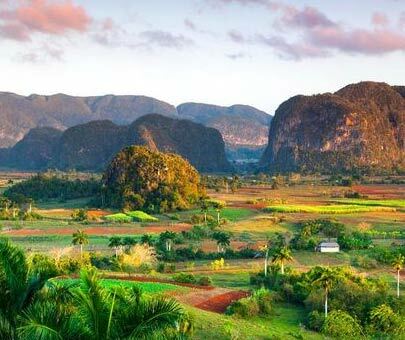 Viñales is world famous for it’s natural beauty and scenic landscapes. The town is located right beside the Viñales Valley which is on the UNESCO Heritage List. In Viñales, you can tour tobacco fields which still use traditional growing techniques. You can climb large limestone hills, which are called Mogotes. You can explore an extensive network of limestone caves. Horseback riding tours through the Viñales Valley are also very popular and inexpensive. Your casa landlord can organize the horses and guides, which generally cost about 20$ per person for a 2 or 3 hour tour. Click to view the Casas. A great selection of casas particulares for rent in the city of Cienfuegos, Cuba. This is a wonderful historic city, located about 3 hours south of Havana. 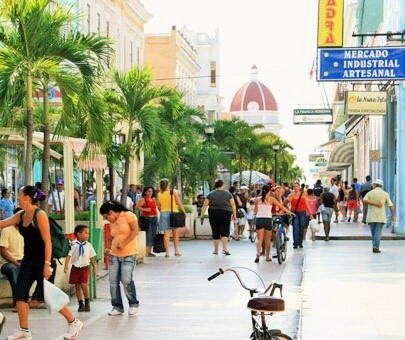 The architecture of Cienfuegos is heavily influenced by French and Spanish-colonial styles and most of the city is well preserved, with large plazas and ornate buildings. 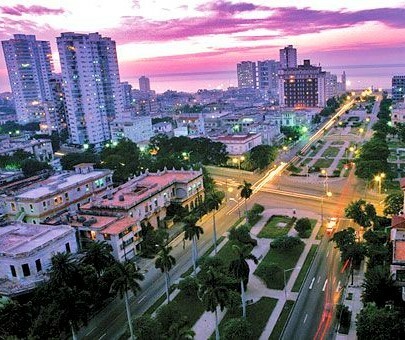 It is often referred to as “La Perla del Sur (Pearl of the South) and is considered one of the most beautiful cities in Cuba. The city also has a busy port, and a vibrant waterfront (Malecon). It is located about 45 minutes away from the historic town of Trinidad and the popular town of Santa Clara. Click to view the Casas. The best and cheapest casas particulares in the town of Guanabo (Playas del Este). This is a beach town, located about 30 minutes driving, east of Havana. It is the largest town in the Playas del Este area and has many casas particulares, as well as bars, restaurants and shops. Guanabo is a good place to stay if you want to enjoy the beach but still remain close to Havana. You can easily get to Guanabo from Havana by taxi. Playa Santa Maria is just a few KM west of Guanabo, and offers a superior beach, but very few rental options. Most people rent casas in Guanabo and then take the local bus to Santa Maria beach. Click to view the Casas.